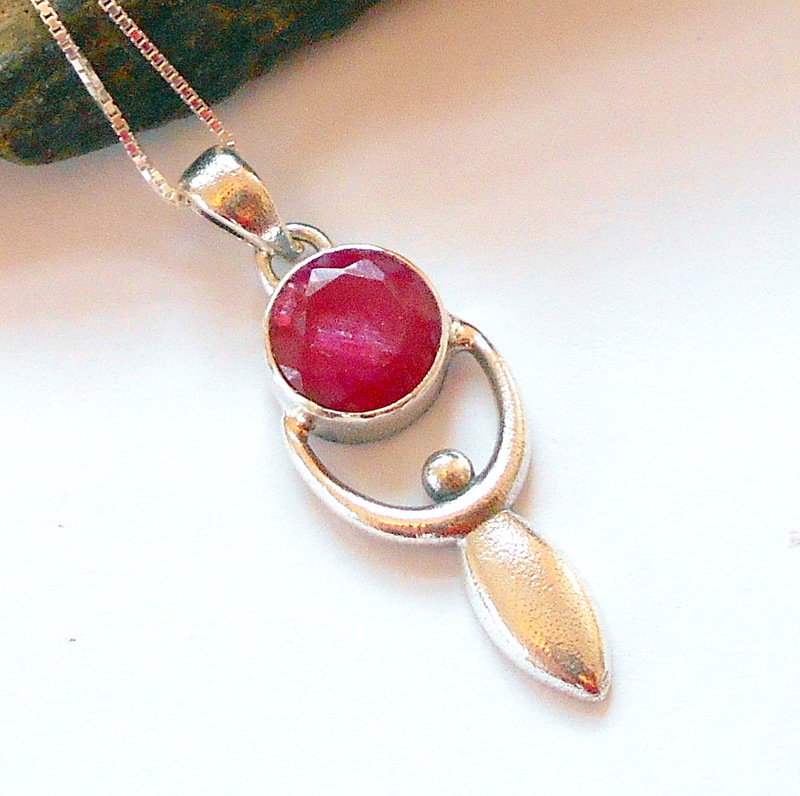 A faceted ruby gemstone set in a sterling silver goddess necklace. Rubies are a root chakra gemstone and July birthstone. Rubies are gemstones of passion, vitality, and fertility, energizing your life and awakening your desires. 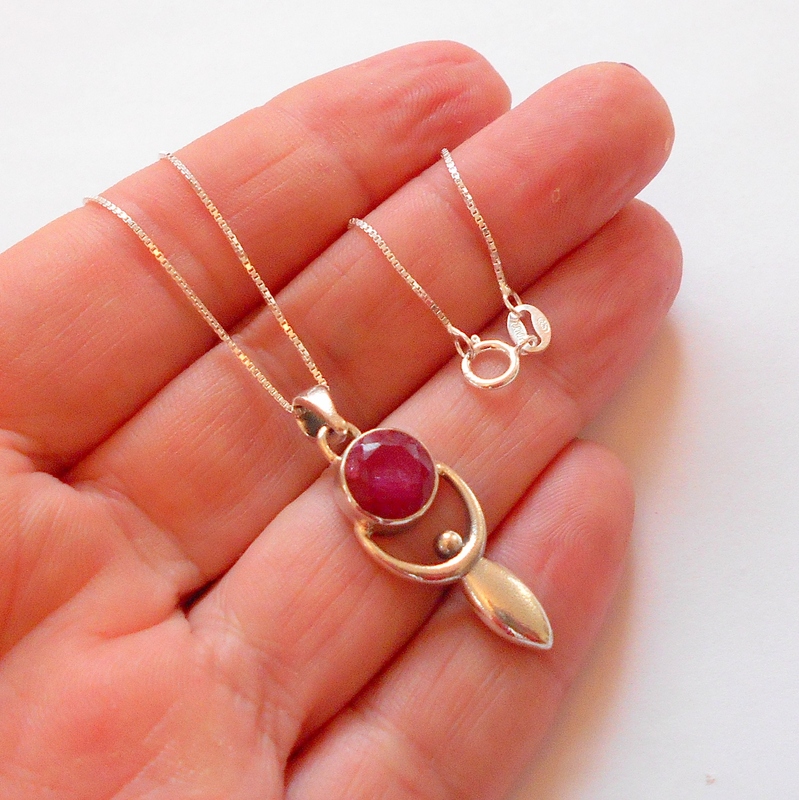 Ruby encourages enthusiasm and adventurousness and help attract joy into your life. 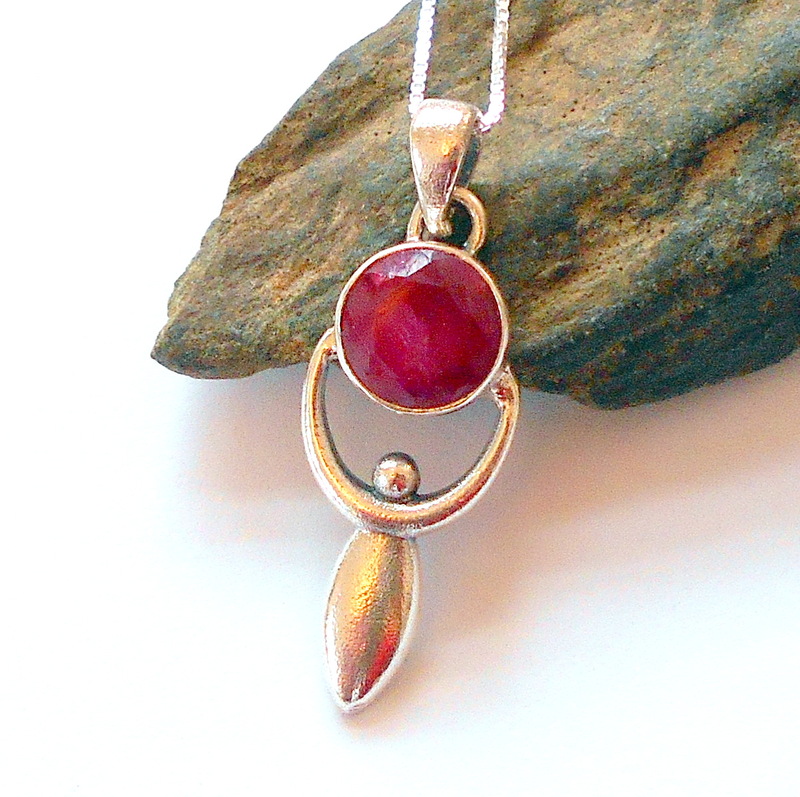 Ruby stimulates the root chakra and encourages vitality, strength, enthusiasm, and courage. Rubies are also a prosperity gemstone, useful for attracting wealth. Overall pendant drop length 1 1/4 inch. Total necklace length 18 inches.